Graffiti wall at Stop 'n' Lock, 3636 Linden Avenue, Dayton Ohio. On 2008.06.14, overgrown with weeds. 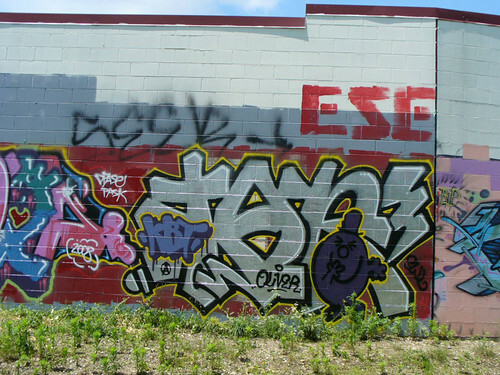 Why don't the taggers use the full canvas, to the top?